This pedigree yacht is a charterer’s dream with a rich selection of water toys, countless amenities and large interior and exterior spaces. Her shallow draft allows her guests to reach the most secluded anchorages in the Bahamas or enjoy island hopping around the Caribbean. Following a major refit in 2017, At Last features an elegant, contemporary interior with colorful art throughout. She can comfortably accommodate eleven guests in five staterooms, including a full beam master suite. 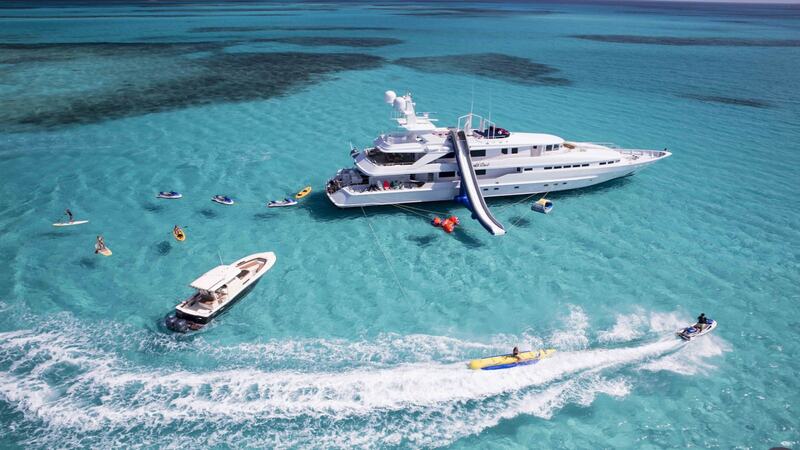 The yacht boasts outstanding deck spaces for lounging and dining, a large collection of water toys including a water slide and scuba diving for certified divers.